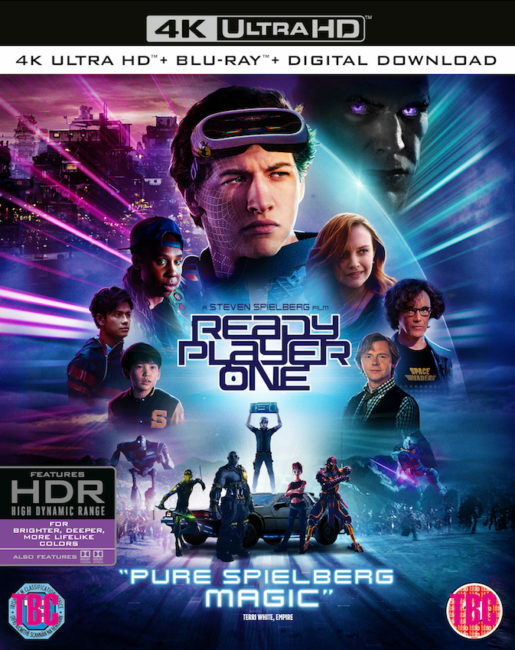 Adapted from Ernest Cline’s highly successful novel of the same name, Ready Player One presents a near-future dominated entirely by the interests of present-day, thirty-something nerds: A world where everyone spends their time inside a video game, and everyone is a walking encyclopedia of 70s and 80s popular culture, from Asteroids to A-ha, Back to the Future to – erm – Battletoads. It’s a future dominated by the OASIS, a virtual world inhabited by billions, a digital escape from a reality dominated by poverty and economic collapse, and a brutal police state in the grip of all-powerful mega corporations. In the OASIS you can be anything, go anywhere, do anything. The result? Everyone looks like their favourite movie character, wields the weapons from their favourite video game. In what is a feat of intellectual property licensing if nothing else, Ready Player One presents a world of wall-to-wall pop-culture nostalgia, and enough “Ooh, did you spot X from movie Y?” moments to fill the Internet Movie Database Trivia section for years to come. Just before OASIS creator James Halliday (Mark Rylance) dies, he leaves an ‘easter egg’ hidden somewhere in his endless, digital domain. For the first player to find it goes the ultimate prize: Complete control over the OASIS, valued in the real-world at over one trillion dollars. Wade Watts (Tye Sheridan), OASIS veteran and James Halliday obsessive, joins forces with best friend Aech (Lena Waithe), and crush Art3mis (Olivia Cooke) to find the easter egg, and prevent it – and the resulting fortune – from falling into the hands of the greedy IOI Corporation. In novel form, Ready Player One could make for a difficult read, its straightforward premise buried beneath occasionally unbearable, arch-geek smugness, and the fact that many of its major action set-pieces amounted to descriptions of old video games, or scenes from old movies. Thankfully, director Spielberg, and a script co-written by Cline himself, rework much of the material, elevating it: Breathless car chases and fun, comedy-horror riffs on The Shining replacing extended games of Joust and Pac-Man. The action scenes themselves are often fantastic, cleanly edited in Spielberg’s trademark unfussy way, the effects packed with visual humour. Use of music is carefully judged, knowing when to lean into its (extensive catalogue of) 80s pop and when to have nothing at all, letting the kinetic action and crushing sound effects speak for themselves. But really, even if it had been adapted without any changes, simply the fact of this being a film side-steps most of the source materials worst excesses. Ready Player One’s tide of pop-culture references are no longer presented as often-tedious, self-satisfied lists; barriers between you and the story to be waded through with gritted teeth. In cinematic form, the endless ‘references’ can happily sit in the background, filling out the crowd scenes, dressing up the scenery. 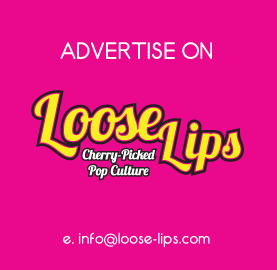 If they mean nothing to you – and given its range of pop-culture paraphernalia extends across at least six decades, at least some of it will go over any single viewer’s head – then that’s OK! They don’t matter! True in enough in the book, but here, at least, they can be quietly ignored. The story never relies on them. Which of course raises an important question — if Ready Player One’s litany of pop-culture sight gags and borrowed audio stings mean nothing, then what – fundamentally – is the point of it all? While both book and film pay lip-service to this message of ‘stepping away from the screen, and remembering to find joy in the real world’, they honestly doesn’t believe it (since victory for Wade Watts comes about entirely because of how thoroughly he has subsumed himself in the blergh coming from his TV). It would even be generous to call this a ‘love letter’ to pop and/or geek culture, since outside of a cute moment reflecting on Atari’s seminal Adventure, Ready Player One shows no particular affection for any of these properties, devotes no time exploring why such characters matter, how they can be so affecting on a young mind; it simply has them, reams and reams of them, crowding every frame, as if the sheer number of franchises it knows about gives its a kind of geek-culture cachet. Ready Player One is nostalgia for the meme-generation; a shallow ocean of people and places, paraded without context, their entertainment value derived not from anything they do, but entirely from the thrill you get when you recognise them. Nonetheless, this is undeniably effective blockbuster film-making; a tightly plotted, fast-paced Charlie and The Chocolate Factory for the World of Warcraft generation, feeling less than half its two hour twenty running time. But the fact remains this is a movie that will not linger long in the memory: Ready Player One is a relatively heartless movie, its characters the crudes of sketches, its world largely unexplored. And where a heart should be, there is instead a deep pit filled with Deloreans, Blizzard video game characters, Monty Python gags and Breakfast Club soundtracks. All together, they hope to stir something, to take you back to a time and a place where they had meant something, triggered an emotion. But nostalgia doesn’t really work like that, and Ready Player One, as anything other than the shallowest of chase flicks, doesn’t really work. This entry was posted on Sunday, August 5th, 2018 at 3:10 pm	and is filed under Features, Film, Review.